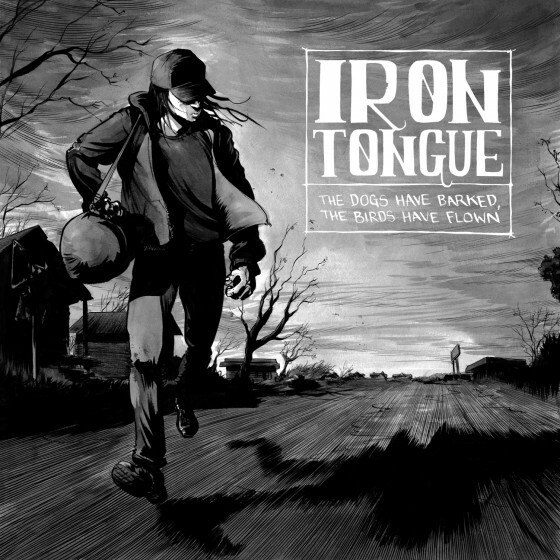 Iron Tongue’s Neurot Recordings debut, The Dogs Have Barked, The Birds Have Flown sees worldwide release this week. The Arkansas troupe fronted by Chris “CT” Terry (founding frontman of sludge legion Rwake) also comprises veteran musicians: Jason Tedford and Mark Chiaro on guitars, bassist Andy Warr, drummer Stan James, keyboardist JR Top and backing vocalist Stephanie Smittle. Musically the album traverses between groove-laden soul to heavy-amped stomping Southern Rock – underpinned by a dark inner core all of which makes The Dogs Have Barked, The Birds Have Flown a compelling listen from start to end. Neurot Recordings is pleased to release the debut from Arkansas southern rock collective IRON TONGUE. Fronted by Chris “CT” Terry, the founding frontman of sludge legion Rwake, IRON TONGUE formed when a group of veteran players with diverse musical backgrounds found a common interest in the need to get down and dirty and way, way gone. Churning a soulful blend of girthy, heavily amped, blues-based rock, IRON TONGUE aren’t singing of magical moonlit escapades. The band offer up songs of pain, regret and heartache that recall everything from the proto-metal stomp of Blue Cheer and Grand Funk to the darkest hours of Kiss, Deep Purple, Buddy Guy and ‘Skynyrd. Having spent over three years performing steadily throughout the South, IRON TONGUE has traversed the Midwest and East Coast with Memphis kindred spirits The Dirty Streets, in addition to sharing bills with the likes of Black Tusk, Scott Kelly, The Sword, High on Fire, Crowbar, The Body, Lita Ford and fellow Arkansans Pallbearer. A split 7” with The Dirty Streets, featuring a ballsy version of KISS’s “Two Timer” served as a precursor to the creation their debut full-length for Neurot. Entitled The Dogs Have Barked, The Birds Have Flown, the seven track offering was recorded and produced by soundsmith Billy Anderson (Melvins, Sleep, Neurosis, etc) at IRON TONGUE guitarist Jason Tedford’s Wolfman Studios. Steve Von Till describes the album as “a solid slab of balls to the wall of shameless rock, with a power and an edge and soul that rarely exists in music today,”. The Dogs Have Barked, The Birds Have Flown is set for release via Neurot Recordings on May 27th in the UK/EU. Further info on IRON TONGUE, including tour dates, will be announced in the coming weeks. As a taste of what is to come, watch and share this immense live footage performing ‘At The Well’ live in Oakland on New Years Eve. West Coast ethereal doom trio IDES OF GEMINI are pleased and honored to announce a full tour this Spring supporting cult metalists, Ghost. 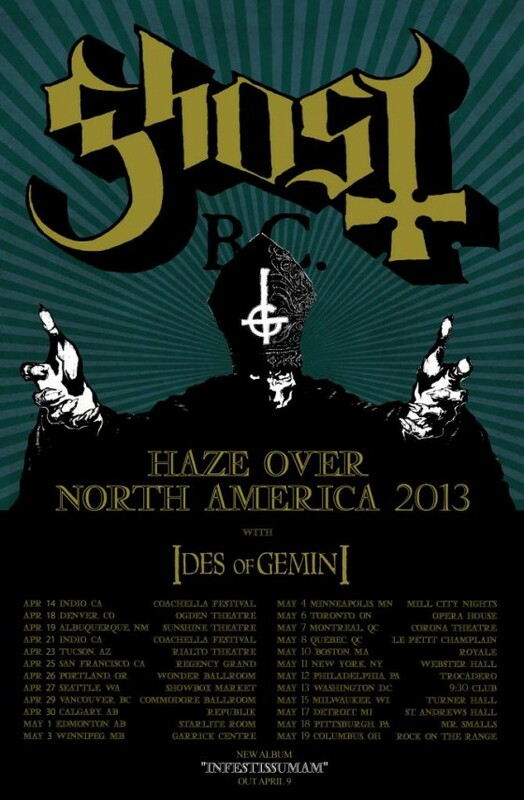 Dubbed the ‘Haze Over North America 2013 tour’, the three-week run will commence on April 18th in Denver, Colorado, with additional IDES headlining dates to be announced in the coming weeks. 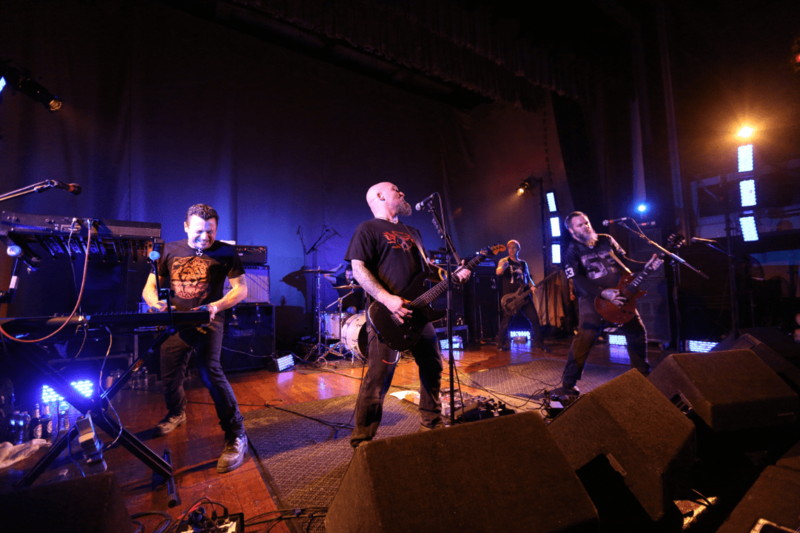 The jaunt follows the band’s successful month-long trek through Europe last Fall and an opening slot with legendary sound revolutionaries Neurosis in January. IDES OF GEMINI will be touring in support of their transcendental doom masterwork, Constantinople. 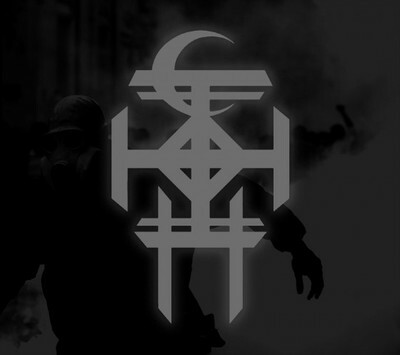 Released stateside via Neurot Recordings last Spring, Constantinople was fittingly commended by Outburn for its “depressing dynamics topped by ethereal wonderment,” and called, “…a dirg-y doom crawl of an album…,” by Decibel. Pitchfork crowned it, “darkly beautiful,” while MetalSucks applauded the offering noting, “Their accretion of small musical gestures inverts metal’s normal use of space. They imply terror without ever exposing it. Each song is an accumulation of outlines, a sort of sonic daguerreotype.” Spin agreed stating, “Processional doom, ethereal female harmonies and high-strung riffs incite head-bowing, not –banging,” while About.com noted: “…a proverbial treasure chest in terms of atmosphere, ideas and contrasting musical textures…original and breathtaking.” – and that is just the North American press! The end is nigh as we enter the final few days before the climatic release of AMENRA’s crushing new studio album Mass V on Neurot Recordings). Over the weeks, the band have lured us with album tracks and mind-melting video footage. These multisensory delights have given us a great taster of what to expect from the album but now we can hear the whole record in its entirety which is streaming today via Metal Hammer. The vinyl preorder will commence on the release date – Monday 26 November at 18:00 Brussels time. 250 of 500 limited silver vinyl will be available through www.soulslayer.net, the other 250 at the band’s record release show on 22 December. As a reminder, the LP version of the album will differ slightly from the CD version, as it contains different artwork, additional sounds and alternative mixes, by Billy Anderson and mastered by James Plotkin (Khanate, Scorn, working with SUNN 0))), Earth, Isis and more…). This edition is 2 LPs (one of which is one sided), has a special silver coloured 180g vinyl and comes with comes with a special lyric/picture booklet. 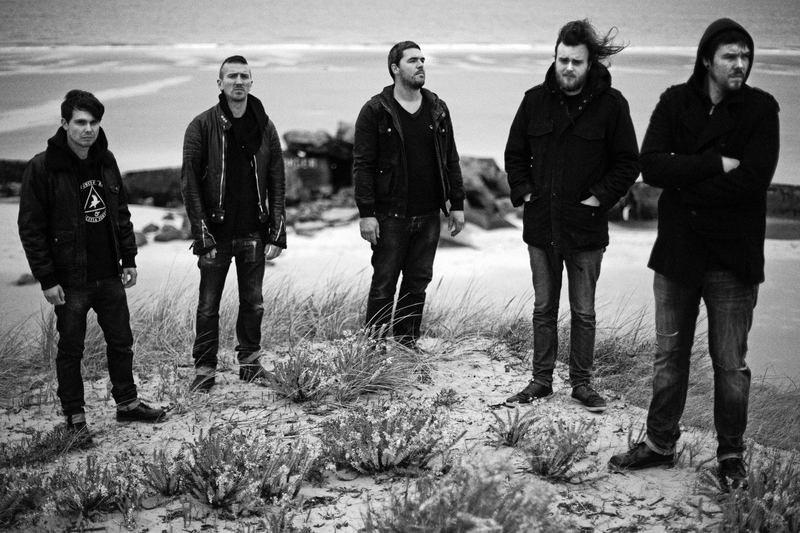 Keep an eye on the AMENRA facebook page for a special announcement next week about a very special and rare UK show.